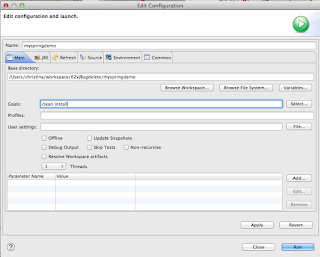 In this series post I am going to show the above ways of creating a web application running in JBoss EAP. 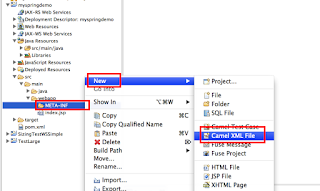 To make things clear and easy, I will be using the exact same Camel route for all there different methods.What this Camel route does, is it starts up a timer that will log every 5 second, simple, easy, not much going on. 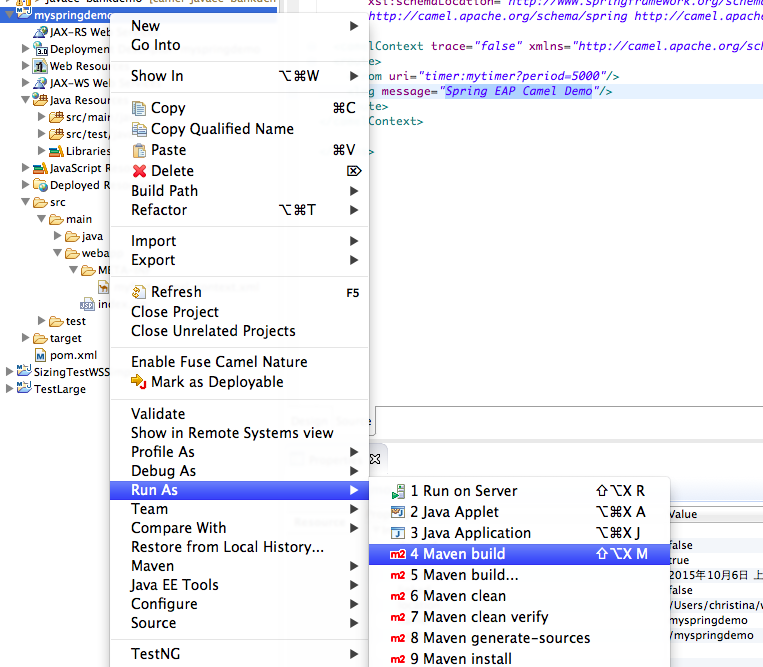 Before we start develop our simple camel route, we need to a base WAR project to work on, so first we need to create a WAR file, I am sure you must have a million way to create that, every one sort of have their own best practice for this. 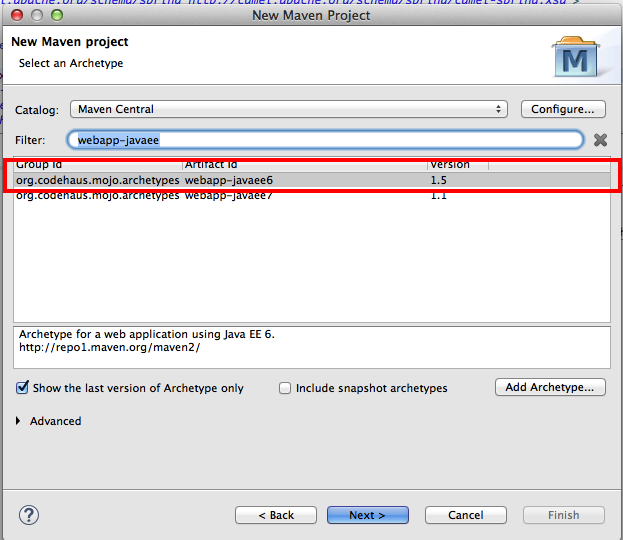 For me, in the example, I will create one with maven, using the webapp-javaee6 artifact. 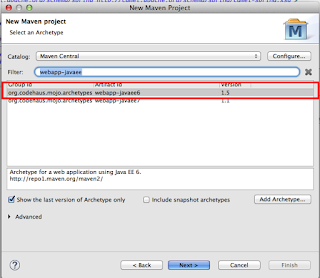 B. Click Next when you are at New Maven Project, and it will take you to the next step, select the webapp-javaee6 artifact. 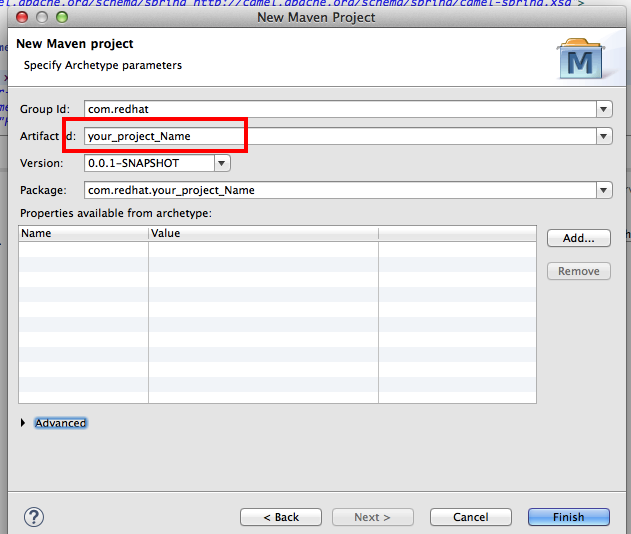 E. Optional, change your JDK version accordingly in pom.xml of the WAR project. 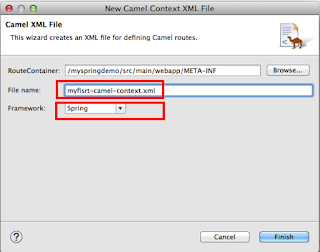 The easiest to add you camel route the WAR application is adding an Spring DSL Camel route application in the classpath, note the file will be automatically pickup by the Camel Subsystem in JBoss EAP with name matching *-camel-context.xml. 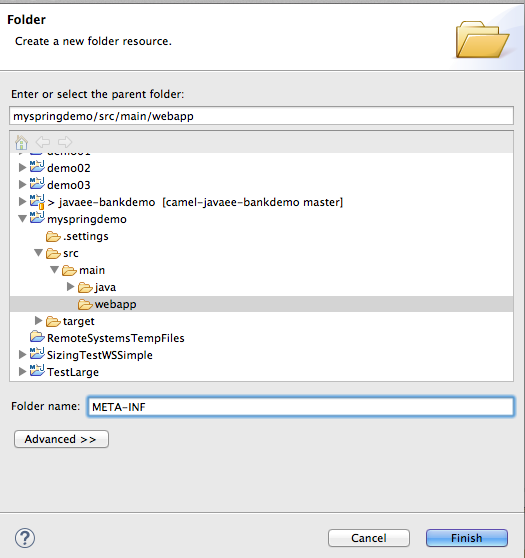 Create a new WAR project, with this project, I am going to name it "mySpringdemo", find your "webapp" folder, create a "META-INF" folder for all the Camel file, please note, your camel files does not have to be in here, it should work as long as it's in the classpath, I am only placing it here so it's nice and tidy. 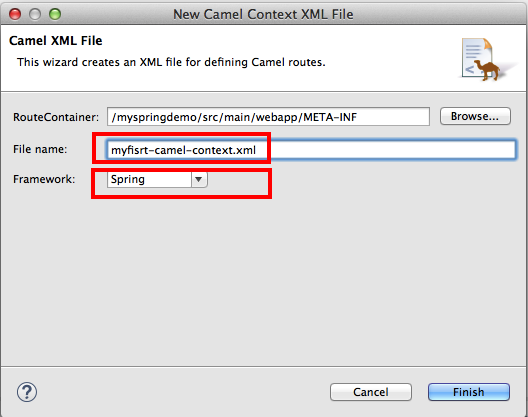 Create Camel route called myfisrt-camel-context.xml in META-INF folder. 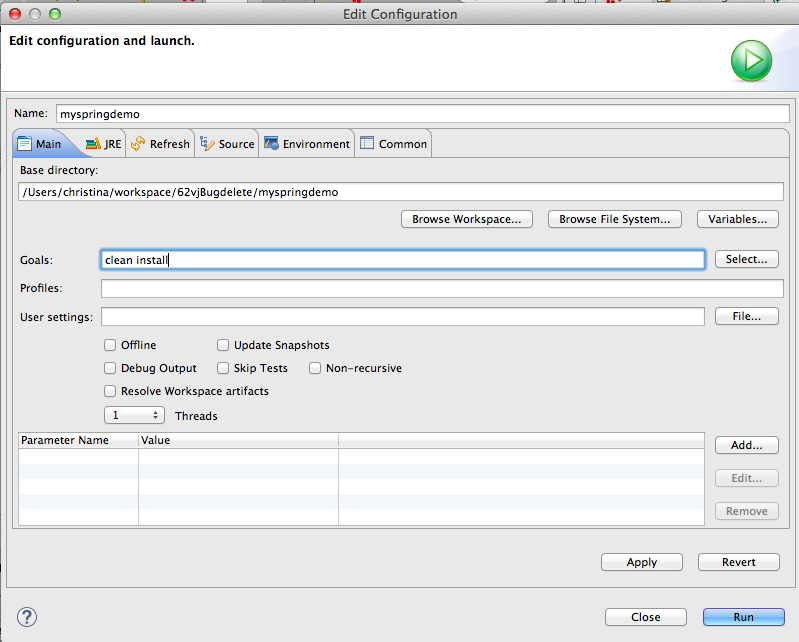 Make sure it is set to "Spring" framework. 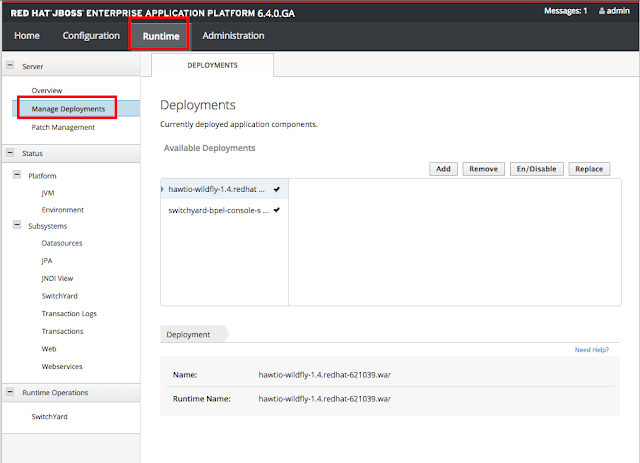 Within route, drag and drop timer and log component and configure them. 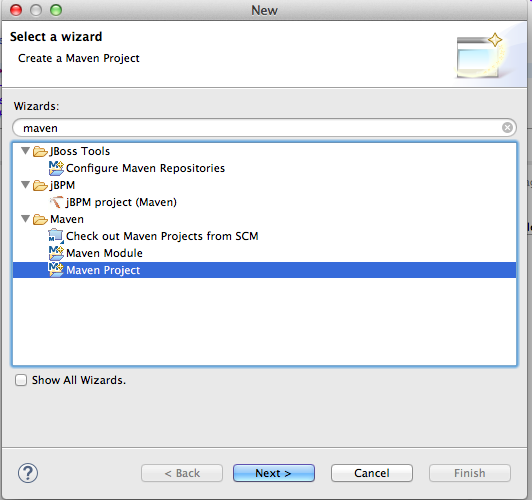 And then we are done, ready to go. 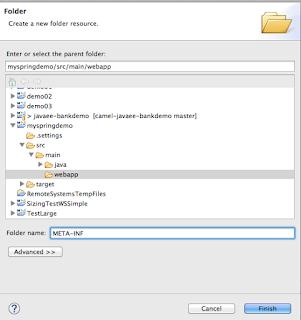 Run mvn clean install to generate the war file. Click on Add, choose the war generated under the project target folder. 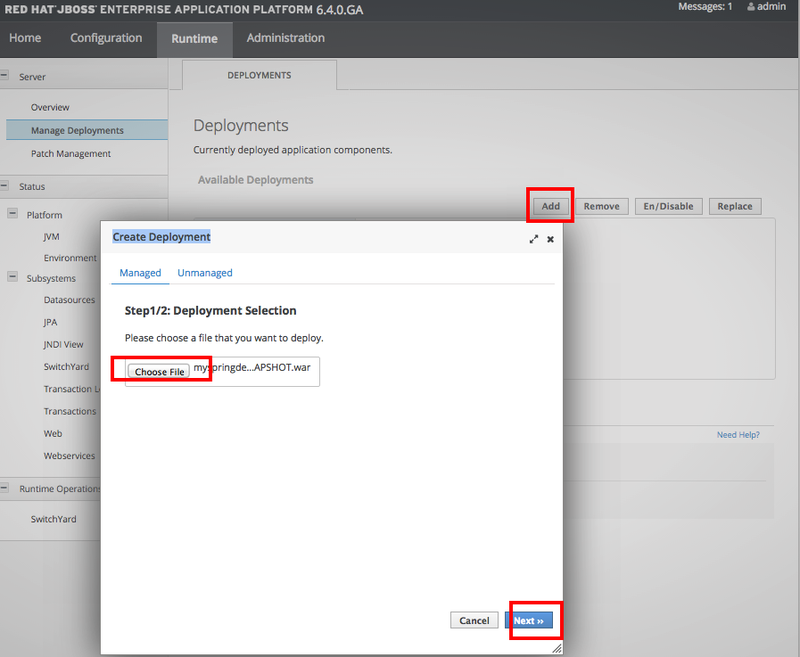 Click Next, Next to deploy the application. 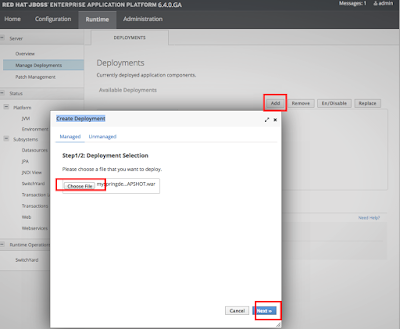 Start up application by click on the En/Disable button. Switch to the log, you will find it's now printing the message "Spring EAP Camel Demo" every 5 seconds. 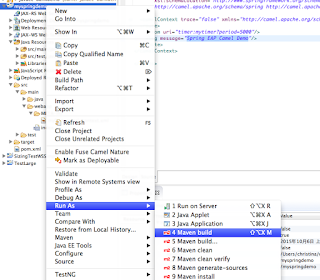 Next, we are going to talk about using the Java DSL in EAP.